For a sense of Archibald’s golfing style, this excellent instructional video from Professor Thomas F. DeFrantz (of Duke University) helps to demonstrate how a dash of buck-and-wing might have impaired Archibald’s success off the tee. His golf may be rotten, but Archie is in good spirits, having recently become engaged to Margaret Milsom, a soulful looking girl with big blue eyes. But in Wodehouse’s world, as in life, few romances are a simple matter of ‘A’ meets ‘B’. There is also ‘C’ to be considered, not mention ‘D’, ‘E’ and ‘F’. These extras may come in the shape of interfering relations (Margaret Milsom has a couple of these) or misguided friends (in this case, Archie’s pal McCay). Our hero ‘A’ may also have to impersonate hens, perform tricks with a bit of string, or suffer some other frightful ordeal before he and ‘B’ can finally dance their wedding glide. The complications for Archie and Margaret are well above par. In addition to a cast of interfering extras, Archie has also feigned an interest in poetry to impress the soulful looking Margaret, and finds the deception torturous to maintain. Every evening he read painfully a portion of the classics. He plodded through the poetry sections of Bartlett’s Familiar Quotations. Margaret’s devotion to the various bards was so enthusiastic, and her reading so wide, that there were times when Archibald wondered if he could endure the strain. Once again, Wodehouse is true to life. How many of us have feigned interest in things beyond our expertise in the budding stages of a romance? Over the years I’ve been a temporary enthusiast of heavy-metal music, beer coasters, comic books, and beard-care. But I have my limits, as the chap who expected me to watch David Lynch’s Eraserhead and like it discovered. Like Archibald Mealing, I too have suffered. Archie’s sentimental friend McCay (who ‘knew Ella Wheeler Wilcox by heart, and could take Browning without anaesthetics’) is also concerned that when Margaret comes to see Archie play in a local golf tournament, her girlish enthusiasm will be dashed. He fears the ordeal will test their romance, so McCay colludes with the other club-members to ensure Archie wins his games. McCay is unaware that Archie has hidden his passion for golf from Margaret — she is such a soulful girl that he fears her disapproval. And as Archie has no expectation of winning the tournament, he has confidently arranged to meet her elsewhere on the afternoon of the final. When the appointed hour arrives, however, he is at the fifteenth tee with a real chance of winning. If Margaret broke off the engagement—well, it might be that Time would heal the wound, and that after many years he would find some other girl for whom he might come to care in a wrecked, broken sort of way. But a chance like this could never come again. What is Love compared with holing out before your opponent? 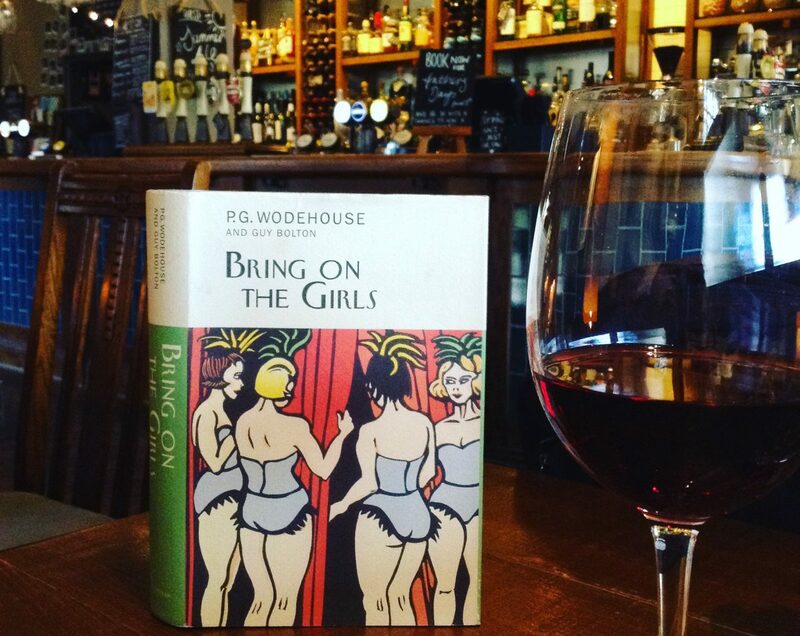 Sentimental readers may be scandalised, but Wodehouse the realist does not shirk from difficult truths. Like the case of Freddie Widgeon in ‘Trouble Down at Tudsleigh’, who attempts to woo April Carroway with Tennyson and fails, we may even feel that Archie has had a lucky escape. After all, no fair-minded girl would begrudge her lover playing golf. When Archie attempts a reconciliation with Margaret, he is forced to confess that he has been playing golf. But, rather than chastise him for indulging in frivolous pass-times, Margaret confesses to suppressing her own fondness for golf. Wodehouse reveals another difficult romantic truth; when love grips, there is illusion on both sides. ‘A’ is too enraptured with ‘B’ to suspect. And ‘B’ would hotly resent any suggestion that ‘A’ is less than he appears. But if a relationship is to last, we must eventually tear off the false whiskers and take our chances. Wodehouse lovers who, unlike poor Archie, can take Browning without anaesthetic, might enjoy the Wodehouse poetry associations in Pippa’s Song. You know, I’ve encountered those phrases,in the Browning poem in Wodehouse for many years, knew that he probably found them in his reading, but never knew where they came from. Thank you! Great post! Love the buck and wing dancing demonstration:). Thanks Maria. It adds to the comedy of Archie’s golf stroke, that’s for sure. Heart-warming, to say the least. A great post to ride the February peak of our Wodehousitis affliction! Here is yet another heart-warming post from the stable of Plumtopia. The greatest love story in all of Wodehouse is that of a hen for her egg, as expressed by Archibald Mulliner (The Wooing of Archibald in Mr Mulliner Speaking): “The rendition started quietly, almost inaudibly, with a sort of soft, liquid crooning — the joyful yet half-incredulous murmur of a mother who can scarcely believe as yet that her union has really been blessed . . ” And so on. As Mr Mulliner relates, few of Archie’s listeners were left dry-eyed. On another matter, Honoria, where are you? No post for two months … gad, you’ll be at my level of laziness soon. Hope all is well. What Ho, Noel! Alas, if only laziness were my excuse, there might be some chance of having had a good time. The combination of a new job and some new and imaginative immigration hoops to jump through have combined to have me wading in paperwork, and waking at 3am with teeth ground down to pips. A new post is brewing however. Thanks awfully for bucking me up with Archibald Mulliner’s impression of a hen laying an eggs. It never fails to hit the spot. Very pleased to know you’re still among those present.